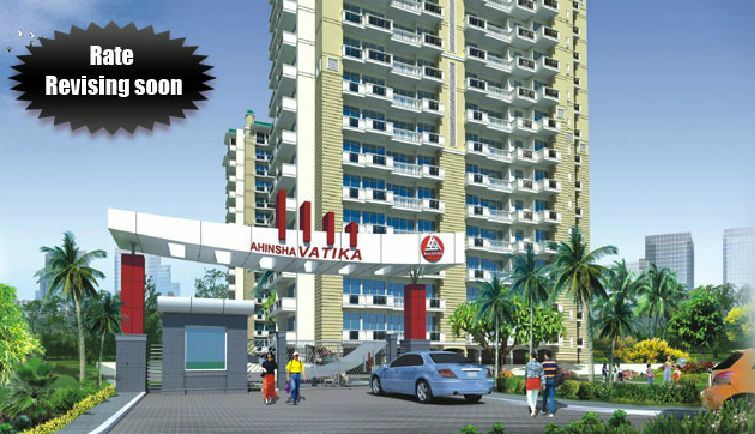 Ahinsha Vatika is located in East Delhi. Ahinsha Vatika offers 2 and 3 BHK Apartment .Thit Gudi Padwa is the time to buy a new house , is stating the obvious. Ahinsha Vatika homes have the luxuries you expect and those you don't. Step inside a Ahinsha Vatika residence and you can't help but notice the through that goes into creating each home. right from the planning and design by architects, top the refinements and finishes. Over the years, it is this one defining aspect that has helped so many families move into their dream home. One doesn't just offer a great location, but an equally great environment. one that pampers you with luxury, not to mention convenience . One is quintessentially a Ahinsha Vatika Home. Oil bound distemper and pop. Vitrified Tiles / Laminated Wooden Flooring In Master Bedroom. Ceramic tiles up to 2 ft. above counter and Oil bound distemper in balance area. CP fittings, Stainless Steel Sink & Exhaust Fan. Wood Work Modular Kitchen Cabinet. Cooking Gas Provision for Gas Pipe Line to Kitchen. Oil bound distemper/ textured paint. Anti Skid Ceramic Tiles/Terrazzo Tiles. Combination of Anti Skid Ceramic Tiles. Combination of Ceramic Tiles Up to 7 Ft. & Acrylic Emulsion Paint in Balance Area. Windows UPVC / Powder Coated Aluminum. Combination of Marble Tiles / Stone-cladding upto 4 ft. height & Textured Paint in Balance Area. Combination of Granite/ Vitrified Tiles. Security System Access control & CCTV for Basement Parking and Entrance lobby at Ground Floor & Intercom for each condominium. Drinking Water Through R.O. System. Electrical Modular switches & Copper wiring. Provision for 24 hrs. power backup. Provision for Internet through Broadband.